Almost everyone gets occasional specks in front of their eyes. These specks are known as eye floaters and are especially common when looking directly at a light background, or when feeling light-headed. The perception of floaters is medically known as myodesopsia. 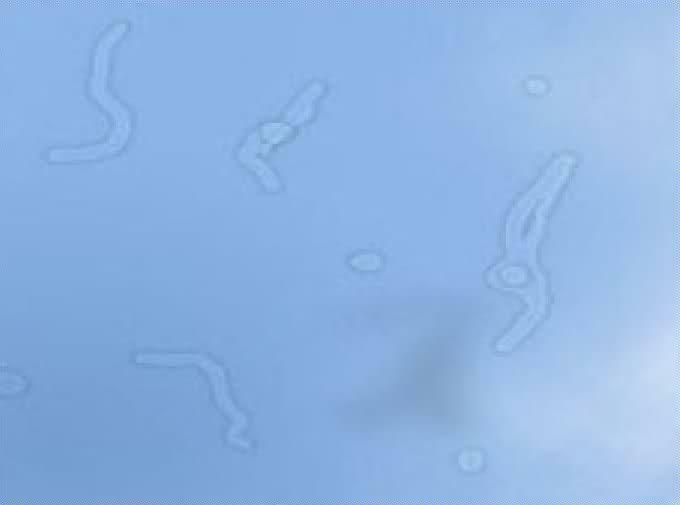 Floaters are tiny dark specks that can be seen in your field of vision, especially when you look at a blue sky, a white wall or any other uninterrupted, light coloured expanse. They are created when tiny clumps form in the clear, jelly-like substance (the 'vitreous humour') inside the eyeball. As these tiny floaters are suspended in this 'jelly', they move when your eyeball moves. As a result, if you try to look directly at them, they may appear to disappear from sight.